The Academy of Medicine and Public service is a health pathway preparing students for life through engaging curriculum and real world experiences. We are a community of learners working together as a strong core team of teachers, students and parents to ensure the success of all of our students. • Three years of history and English include an additional AP English course in both junior and senior year for students who want to take on the challenge of the AP exams. • Electives include sports medicine, fire science, and psychology. 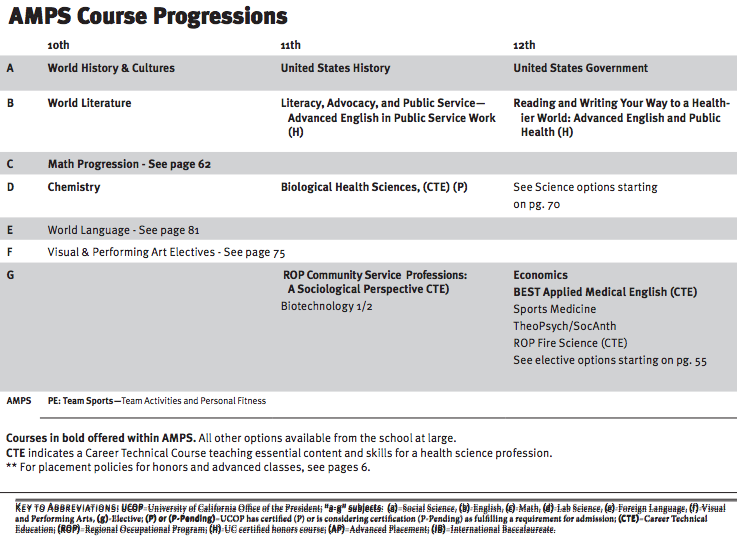 • We have three sciences through junior year: forensics, chemistry, and biological health with an emphasis on anatomy. Seniors take honors anatomy, AP environmental science, or physics. • Three-years of math culminate in senior AP statistics and calculus. All juniors have an internship to explore careers and life skills, and our seniors take a capstone class, Applied Medical English including field work, a college level thesis paper, and articulation to a college course in medical terminology. Our goal is to prepare students for college and careers, and to empower them to become leaders in their community and agents of change.